This coming Friday RTE’s Joe Duffy will bring his Livelive show to Arklow. 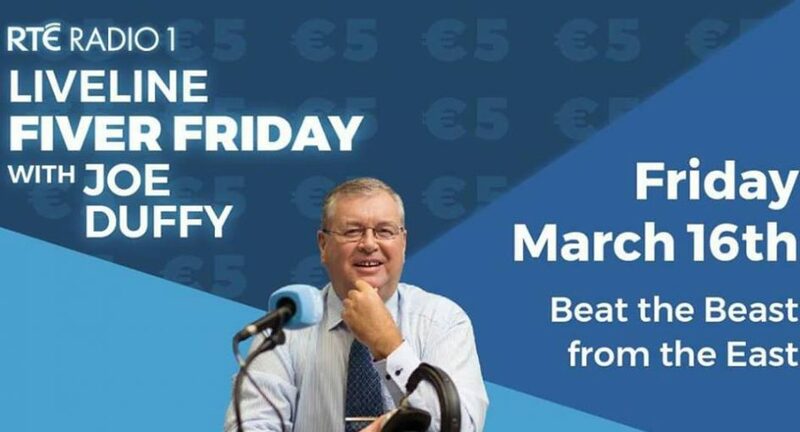 The show will be promoting “Fiver Friday” after a phone call from local business man Colm Kavanagh to the show, explaining how he was affected by Storm Emma and the Beast of the East two weeks ago. The show will be broadcast live from the RTE Road-caster which will be parked at the Courthouse on the Main Street.